HF-A5800 DSP AM system uses the most advanced intelligent AM detection technology (DSP digital identity self- recognition technology), antenna rack configuration carved from imported high-grade acrylic, streamlined appearance, originality seamless, the system is fully digital and uses the most advanced digital signal processing technology, can conduct periodic self-testing environment,to achieve accurate alarm technology. Application of high voltage pulse testing tag its detection system,can withstand strong interference power, it applies to any 58KHz AM tag. This product for AM transceiver model, single work, on both sides of the test, the material for the acrylic material. Plug and play, no need to debug, easy to install. 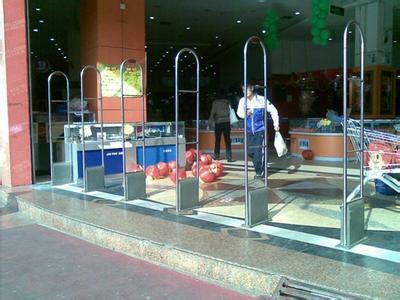 Apply to the jewelry store, jade shop, gole store and other valuables sales store security,anti-theft.